New Year brings in new vibes, new hopes, some dreams to pursue, some goals to achieve, new places to visit, new horizons to explore, getting oneself new phone, new car or probably shifting to a new place. This is all what we expect when the year ends and the New Year begins. There are many resolutions to be made, there are things to take care, some people to move away from, some bad habit to get rid of, some diseases to heal, some pains to replenish, some foes to conquer, some friends to surrender to, some new dishes to eat and new resultants to go about. Yes, we all welcome a New Year with a new welcoming approach towards life. Get away from toxic people and all energies that put you down, just be with people who love you and support you in thick or thin, keep a rain check, have pennies at disposal, be upfront to latest styles and be a stronger person because this life is way too short to live lethargic and unhappy. Own a new fluffy pet, make new friends, get past all sorrows and pains, and surround yourself with positivity. 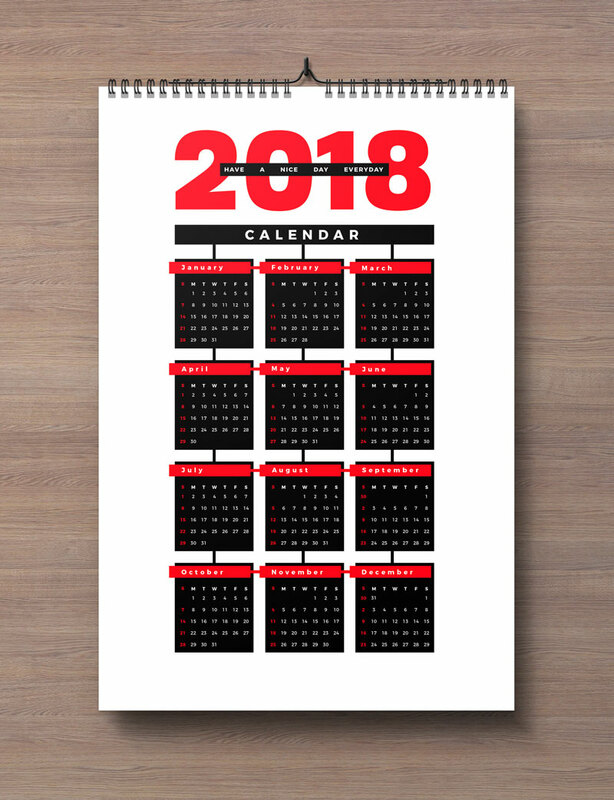 Here my post of today is also about a New Year’s calendar 2018 so you can keep a check on events, dates, key days and important meetings. 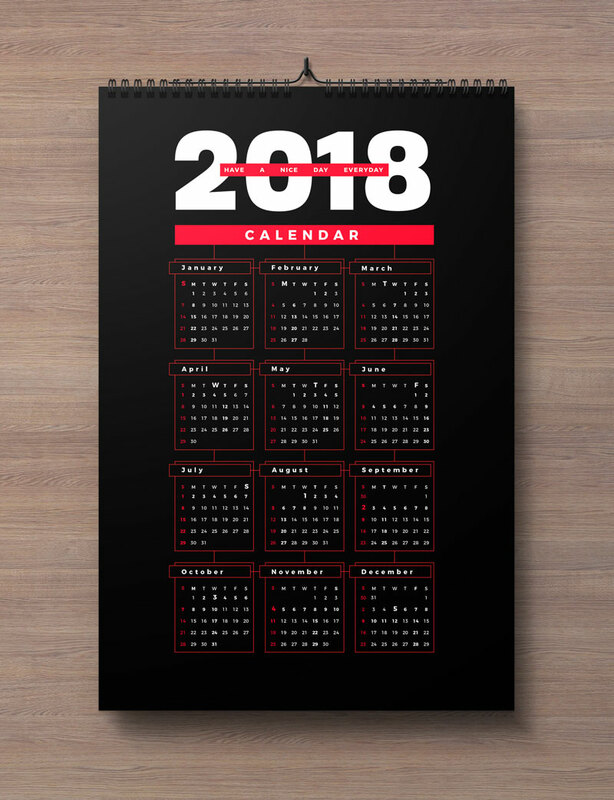 Have a look at the collection of free 2018 wall calendar printable design template, this will give you ideas how calendars can be designed differently yet innovatively. This printable can be posted on walls or you can keep it at hand to pay a look at it when you need. Also remember to give us your feedback, make us know how you are going to celebrate New Year’s Eve. Stay tuned for more amazing freebies, tech and art collection that we are supposed to put forward very soon for your interest and inspiration. Here we go. I wish you all a very pleasant and happening time when you walk into the year of 2018, make it a good one.